Understand what motivates your employees. Create an optimal work environment. High levels of employee engagement lead to higher client satisfaction and financial performance. Engagement is not static but can change fast and frequent. 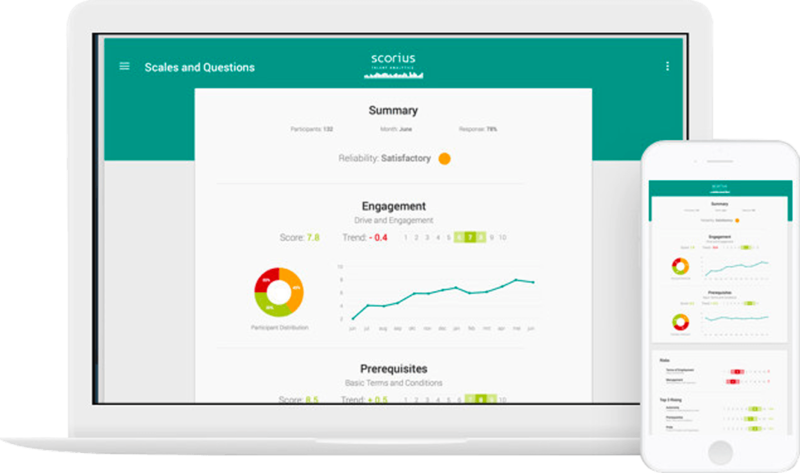 The Scorius engagement monitor provides continuous insight into the level of engagement of all employees. 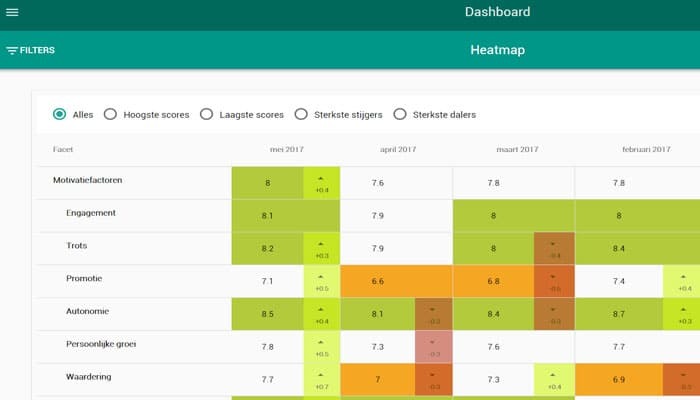 De Scorius engagement monitor zorgt voor continu inzicht in de betrokkenheid. Trends become clear and the development of teams and functions is easy to compare. This way organisations can actively improve employee engagement. Scientifically sound survey to measure employee engagement. Automated randomized samples. Measure frequently without annoying your employees. Customizable dynamic questionnaires. A specific questionnaire for a specific team. 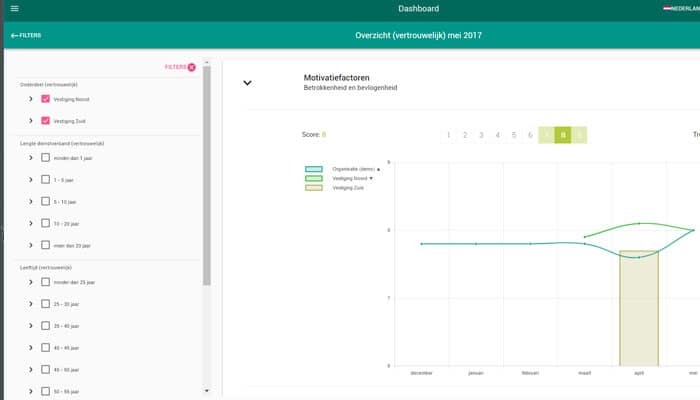 Dashboard function for real time data and insight. Compare teams.